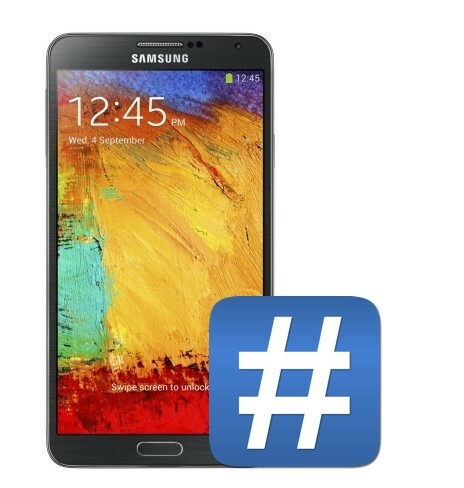 Galaxy Note 3 is the new flagship model from Samsung and released in most of the countries. Note 3 come with some awesome specs and available in 32GB or 64GB internal storage models. Galaxy Note 3 is a large phone with Android 4.3 Jelly Bean, 5.7 1080 x 1920 Super AMOLED HD display, Long battery life, microSD card support, 13 MP autofocus camera and with 3 GB RAM. One of the popular device in the android smartphone market. If you recently bought the Note 3 smartphone and interested in to root your phone and install ClockworkMod Recovery, here we will show you how to do that. Thanks to the XDA members who come with the rooting exploit and recovery method. The rooting process is simple and take a 5 minutes to gain the roots access on phone, after that you will install CWM recovery on phone and enjoy lots of custom rom and rooted applications. Important Note:- Rooting is always a risky method and this will void the warranty of your device and it will also trigger the KNOX warranty void status. If you don’t care about the warranty and want to root your phone, read all the below mention steps very carefully to complete the process on your device. Follow the guide at your own risk, Technobuzz.net and the developers will not be liable if your device gets bricked or damaged during the process. a) Turn on USB Debugging on your phone. Go to Settings> General> Developer options. Read here how to enable USB debugging mode. b) Backup all you important data like files, images, videos, apps, sms, contacts, email etc. c) Download the latest Galaxy Note 3 USB drivers here and install on your desktop. Step 1. First follow this guide to Root your phone. After rooting your device follow the step 2 to install recovery. Step 2. Download the appropriate Note 3 ClockworkMod recovery frm the gicve links. To check the model number of your phone, Go to Settings > About device > Model number. Step 3. Download the Odin tool and unzip the file on your desktop. Step 4. Switch off you phone and boot it into download mode. To do so, Press and hold Volume Down+Home+Power to boot – if it asks you to press a button to continue, follow on-screen instructions and press the listed button. Step 5. Once the device in download mode, connect it to the pc with USB cable and launch Odin application from your desktop using its EXE file. Step 6. Once the phone is connected with ODIN application you will see the blue sign in Odin screen. Click PDA button and select the recovery file that you download on Step 2. Step 7. Make sure that only Auto Reboot and F. Reset Time option are checked on Odin. And re-partition is NOT ticked on the ODIN application. Step 8. Click Start in Odin and wait for some time finish the flashing process. Once the process is finished on your phone, your phone will reboot automatically, now you will disconnect your device from PC. Now your device is rooted and CWM recovery is installed.